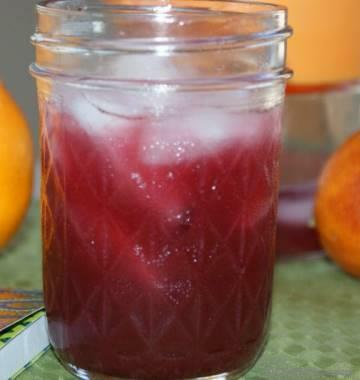 Packed with potassium, vitamins, good fats, and anti-oxidants. 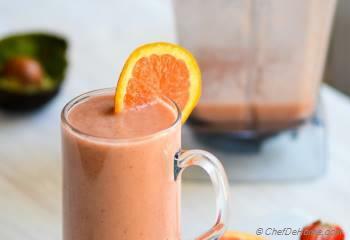 Whenever I blend a glass of sunny smoothie like this one, all I can think of is: start of a bright and beautiful day! Why I made this smoothie? Because, I just wanted to :) My inspiration for smoothies are generally based on ingredients I love, nutrients, ingredients in hand, time, and mood :) I covered pretty much everything! Isn't it? 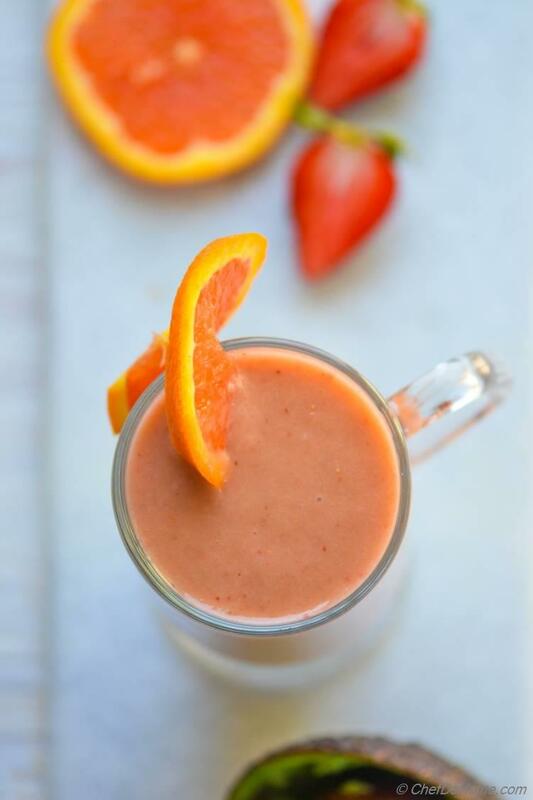 Orange and Strawberries are two of my favorite ingredients in smoothies. Lately, I'm loving the creaminess of avocado in smoothies too. Also, adding a veggie to an otherwise fruit smoothie can really help sneak-in one daily serving of veggie in your favorite glass of joy. So, whenever, I'm making fruit smoothies, I make sure to select a veggie which will pair best with the fruits. One other delicious, healthy, powerful potassium source yet silent ingredient in this smoothie is Coconut Water. Why silent? Well... you know, all of my smoothies have water as base, most of the time. I only buy coconut water if I see low sugar and no concentrates brand in store. So, for this one too, feel free to use water instead. You will not notice much difference in taste. Vishal, and I, both love drinking a fresh coconut for lunch whenever we visit Whole Foods. But, you cannot store whole coconut in refrigerator for every day smoothies. Luckily, last week we found the one brand of coconut water with good potassium and very low sugar content. So, here I'm with a coconut water smoothie! If you can find a low-sugar and not-from-concentrate coconut brand in store (always read the labels). Bring it and use in smoothies. (Please note, coconut water is not a sugar-free product.) 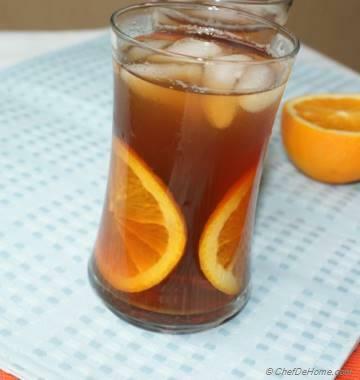 It is really a great way of including electrolytes and potassium in your daily diet. Especially in summers, it is great thirst quencher. 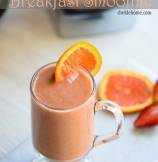 Plus act as a neutral base, never overpower the smoothie. I can have a glass full of this delicious-ness for breakfast or even for lunch. Yesterday, when I repeated this smoothie second time, I decided to take few shots. From blogger perspective, smoothies are always lesser work. 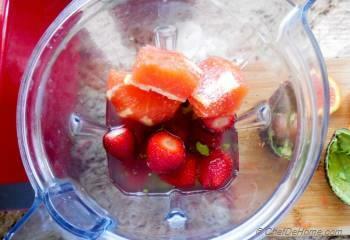 In the sense, few ingredients, 5 minutes of blending in favorite blender, simple clicks, and above all, easy cleanup. Cleanup after photography for blog bothers me the most! For the record, I spend more time cleaning after the shot vs actual recipe. 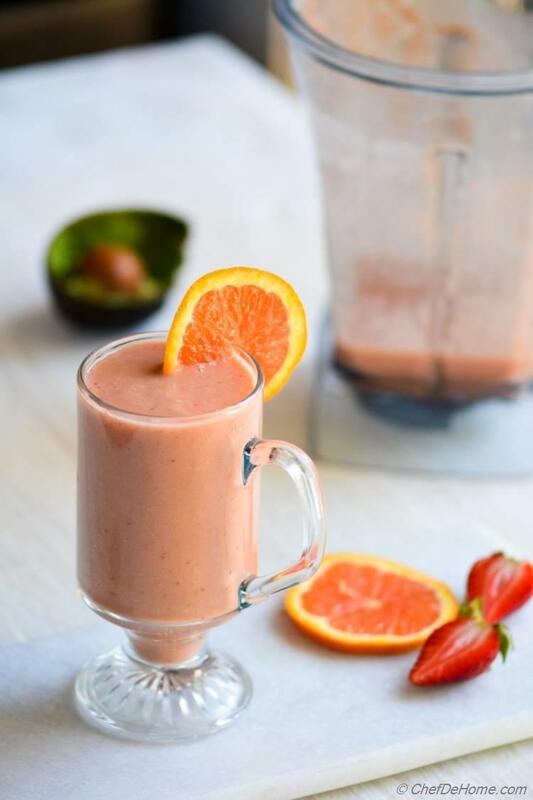 This smoothie is great way to super charge the day and it tastes very refreshing! Health benefits are amazing. Vegan and Gluten free yet creamy with good fats of avocado, antioxidants of strawberries, vitamins of orange, and potassium of coconut water. I hope this smoothie will bring some more sunshine to your bright day! With promise to meet again! A few more delicious breakfast ideas for you. Total Time 5 minutes Prep Time 5 minutes Cook Time 0 minute Difficulty Easy Yields 3-4 Cups Serves 2 Notes 2-3 substantial or 4 small servings. Smart Swap You can use water instead of Coconut Water. 1. 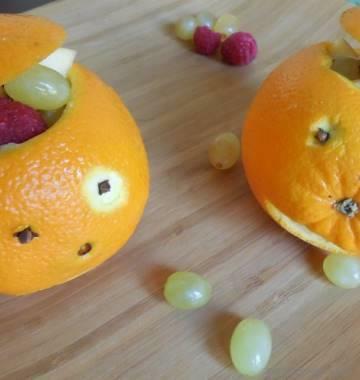 Rough chop orange and remove skin and seeds. Also, scoop avocado and discard pit and skin. 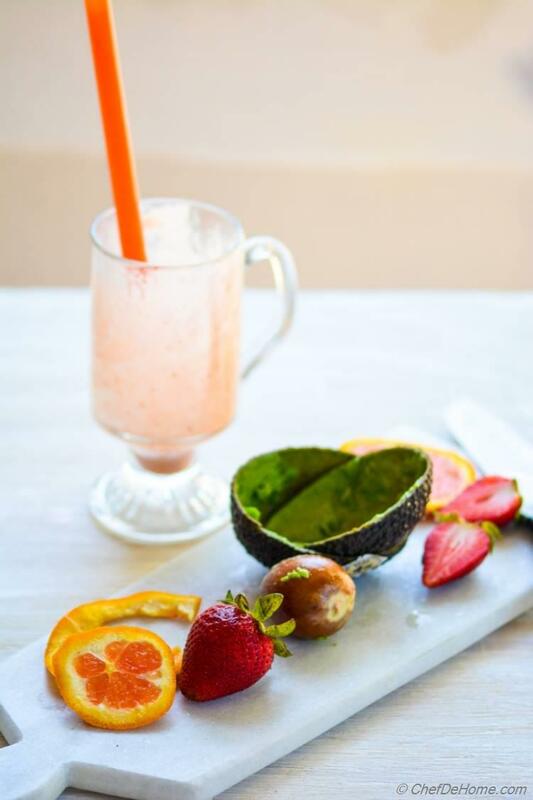 In blender jar, add coconut water, avocado, salt, orange, and strawberries. My kids and I enjoyed this smoothie very much! Jodel, I'm glad your family enjoyed this smoothie. Thanks for sharing your experience with us. This smoothie looks gloriously delicious! Love the fresh flavours! Jess, thanks! I'm glad you like this smoothie. This looks so good, Savita! I love doing smoothies on my blog for the same reason - so much easier! You're right, the cleanup is the worst part. Can't wait to try this recipe! Cleanup are always boring. Isn't it? 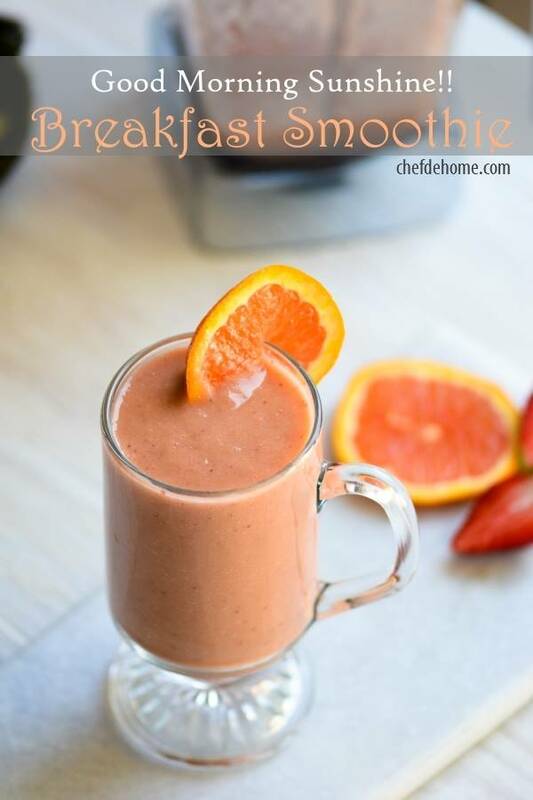 But we have to do them anyways :-) You will love this smoothie, Keri! do try. whenever I step into your blog, I feel as though I am stepping inside a magazine. I love smoothies and avocado too :)) this ones a winner with coconut water! Anupama, that's a huge compliment. Thanks a ton, my dear. I appreciate you taking time to stop by and saying so encouraging words! Made my day for sure! thanks! Good morning indeed. Would wake me up in an instant. The color is just gorgeous too! Kelsey, thanks! :) indeed, color of this smoothie always inspires me! :) I'm glad I could give you a sunny welcome :) Thanks you so much for stopping by! I would love to check your space soon! oh yes, sure it is :) Thanks my friend! I'm glad you like it! Love your positive approach to life, Anu! Sunshine is not faraway! :) Glad you like the smoothie. Indeed! exploring new flavors is real fun! Thanks for stopping by, Amila, glad you like this smoothie. I'm always on the look for new smoothie recipe! Looks so delicious! This looks good, I love strawberries and oranges! and oh I love coconut water from Whole Foods too! so good! :) feels like we have very similar taste buds and interests, Manali! :) I'm glad you like this smoothie! Carmen, glad you like smoothie! Please note, even natural coconut water can not be without sugar but atleast has no refined sugar. The brand I've used has 7g natural sugar per one cup with no added sugar and no preservatives. In my books, it is lower than many other brands in market. I don't share every brand name on blog, if you want, I can email you the name. Or you can always use water instead.